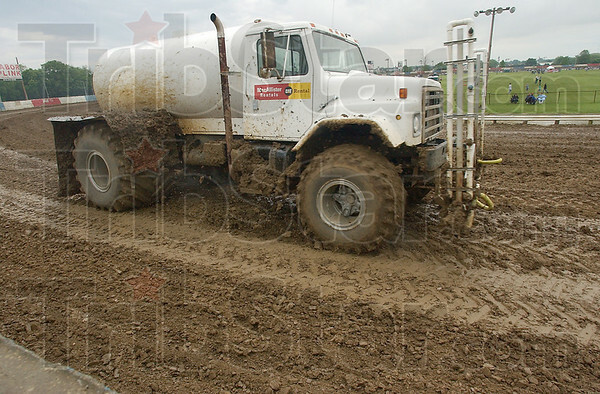 Slinging mud: A water truck rounds the Action Track about 7:00p.m. Saturday evening. Afternoon rains left the track too muddy to follow the original schedule.